In 1926 Jack Bean urease was the first protein to be crystallised 1, earning a place in the history books for this humble plant protein and a Nobel Prize for James B. Sumner (see yesterday’s post for more). Besides establishing that proteins could be crystallised, Sumner’s work was remarkable for demonstrating that proteins could be isolated and purified whilst retaining enzymatic activity. Despite this landmark advance in protein biochemistry and crystallography, it was a further 84 years before the crystal structure of Jack Bean Urease was determined, in what must surely be the longest running crystallography endeavour in history2. Urease is an enzyme in plants, bacteria and fungi that helps to break urea into ammonia and carbon dioxide. Whilst other urease structures were known – for example Helicobacter pylori urease, the structure of which helped to explain how this bacterium can survive in the acid environment of the human stomach3 – the structure of Jack Bean urease was only determined in 2010. Plant ureases are single chain proteins. 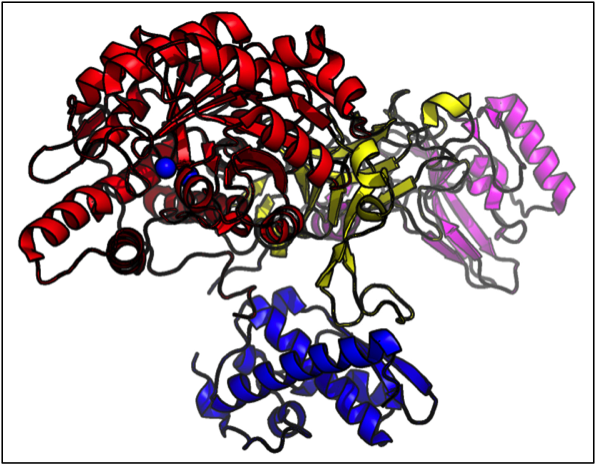 Jack Bean urease is a T-shaped molecule of four domains (coloured here in red, blue, yellow and pink.) In common with other ureases, Jack Bean Ureases binds two nickel ions (blue spheres) in its active site; these are required for enzymatic breakdown of urea. The beautiful shapes of crystals are not a fluke – they reflect the symmetries of the atoms within the crystal. Those atoms (and molecules), however, can only have certain types of symmetries. Five-fold symmetry, for example, is not possible (except for quasicrystals, which are a whole different story…). You can prove this to yourself – try covering the whole surface of a table only with regular pentagons. Can’t do it can you? There are always those annoying gaps. 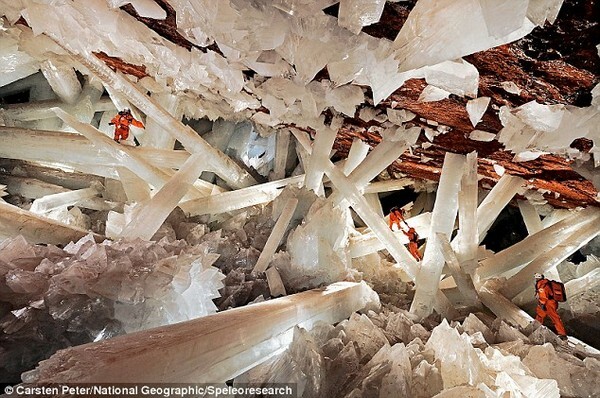 So when the beautiful pentagonal “crystals” shown above were discovered in a reaction, there had to be more going on. For a crystallographer five fold symmetry sets off alarm bells. 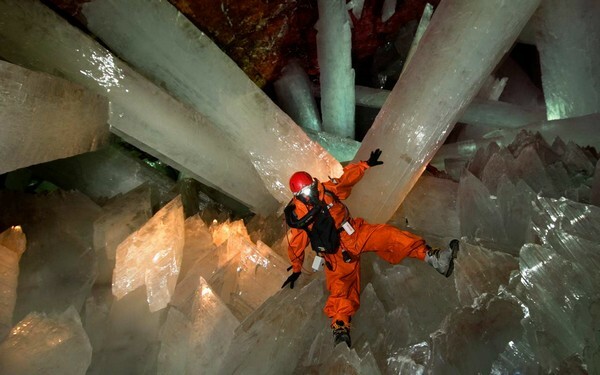 It turns out that these crystals weren’t individual crystals at all, but rather collections of five individual wedge-shaped crystals growing together to form a pentagon. The structure of the crystals was solved by carefully cutting out one of these wedges and performing X-ray diffraction on this. If the pentagon had of been used instead it would have been a horrible, unsolvable mess, with five diffraction patterns superimposed on each other, all in different orientations. Solving the crystal structure revealed not only the molecular structure of the crystals, but also solved another curious observation. 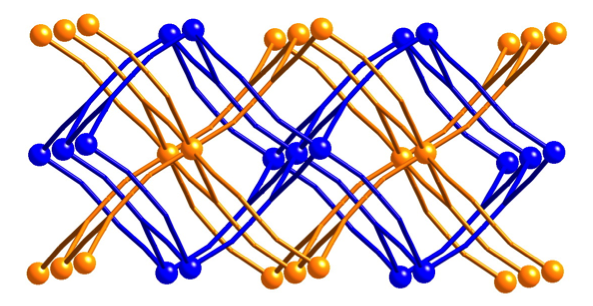 While the compound made with cobalt formed the lovely orange pentagons you see here, similar compounds with other metals formed pentagons with wedges missing. 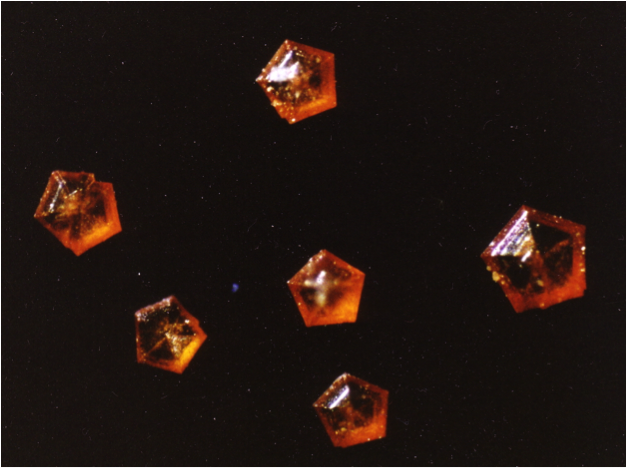 Even more unusually, crystals of the copper analogue didn’t form the pentagons at all. The key to solving this riddle was the fact that the lovely sharp arrangement of faces on a crystal are related to the arrangements of simple planes of atoms within the crystal (as I said before, the shapes of crystals are related to the symmetry of the atoms within). In the structures in question, there are two very simple planes in the crystals that are angled at approximately 72 °, which is exactly the right angle you need for the corner of the wedges that come together in the middle of the pentagon. For the cobalt structure, that angle was 71.2°, and only pentagons formed. For the other structures, results and angles varied. Mn (71.7°) and Cd (72.2°) were closer to the magic 72°, but maybe too close for comfort. These only formed pentagons with wedges missing, or wedges by themselves. Zn, with an angle further way (70.9°) was similar. Ni (70.8°) formed pentagons, but they were very small and too a lot of effort to make. Cu, with the greatest deviation from 72 ° (67.3°), formed no pentagons at all. So after all that, what was the structure? It turned out that the structure was very closely related to that of the mineral rutile. In these new structures, however, the titanium atoms in rutile were replaced by the transition metals listed above, and the oxygen atoms were replaced by the larger tricyanomethanide anion. Because the anion was much larger in new structures, there was room enough in the structure for not one but two networks to coexist, weaving through each other (but never touching) in an intricate dance known as interpenetration. It pays to look at your crystals closely. Their shape can tell you something if you’re taking notice. “Crystal structures and magnetic properties of the interpenetrating rutile-related compounds M(tcm)2 [M = octahedral, divalent metal; tcm- = tricyanomethanide, C(CN)3–] and the sheet structures of [M(tcm)2(EtOH)2] (M = Co or Ni)”, S.R. Batten, B.F. Hoskins, B. Moubaraki, K.S. Murray and R. Robson, J. Chem. Soc., Dalton Trans., 1999, 2977.